"LITHIUM ION SCREWDRIVERThe original 3.6V screwdriver with lithium ion technology. Always ready to go. It holds the charge up to 18 months, 6 times longer than NiCd or NiMH batteries. Rechargeable anytime-can be charged on the cradle charger "
After reading all of the positive comments on this driver, I was disappointed at it's performance. It is extremely compact and light-weight, but in my opinion this doesn't make up for its shortcomings. This is just the cutest little thing. I was attracted to it because of the length of time it is supposed to hold it's battery life. I have a larger Craftsman screwdriver which always runs out of juice by the time I need to use it. That is frustrating. I am not a handyman, or service person. I am a homeowner who has very occasional need for a powered screwdriver. For anything bigger than this tool -- I call in my handyman Jim to do the work. It's probably beyond me anyway. This has a cool little carrying case and stores easily. Don't expect it to work as strongly as a drill does or a larger powered screwdriver ... you'll probably burn the motor if you do. Personally, I am still trying to find it's sweet spot. The good thing is -- I know it will have power when I need it. Cool stuff! It is small, handy and has many types of bits available. I recently built new doors for all of our kitchen cabinets and this little gem was perfect for removing all of the many hinges on the old doors. Also, it was handy for installing new hinges in some tight places. This little Skil is perfect. Good torque. Quick. Fits just right in the hand. Charge lasts a long time while using and would fit just fine in tight spaces. Comes in a good sized carrying case and a small set of bits. Every time I am so glad to have had this tool. If you see the negative Consumer Reports review, it's for the older model number. This one will not disappoint. I was looking for a small, easy to handle cordless screwdriver. I have a larger drill/screwdriver and drill and I wasn't looking for something to take their place. This item is just what I was looking for. So far it has done everything I have asked it to. It surprised me by having enough power to crack those new screws on equipment that has never been serviced. I charged it when I first received it and I haven't charged it since, it's been about 3 months. 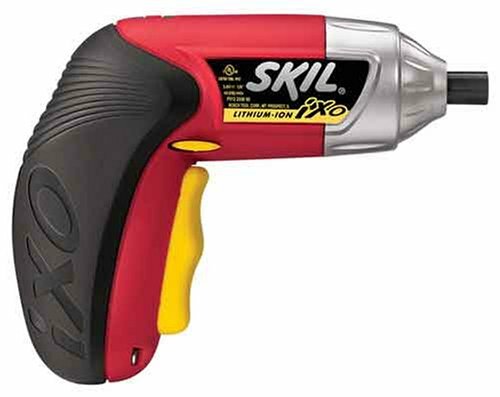 If your are truly just looking for a cordless screwdriver I would recommend this one highly. 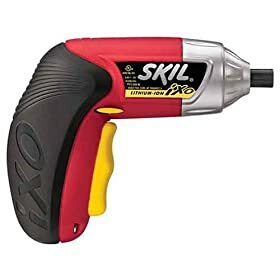 I bought this cordless screwdriver after reading several positive reviews on Amazon. I immediately put it to work screwing in about 60 #10 2" and 2 1/2" screws into 1 1/2" thick redwood. It drove the screws in, slowly but surely, with no failed attempts and battery power to spare. While it may be small and lightweight, it has good power and the battery definitely goes a long way on a charge. 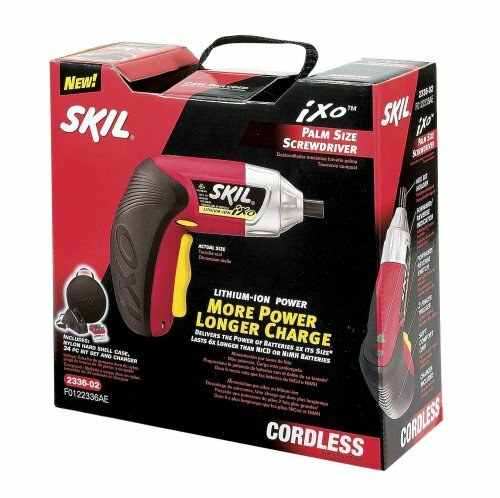 This cordless screwdriver is a good value at less than $25!!! A handy tool for certain tasks. I think this little screwdriver (and I do mean little) is great. I like it when people start off positive instead of always focusing on the negative. Why is it great? It is compact! I have very large hands, and the handle is shorter than the depth of my grip. Is this a problem? I thought it would be, but thanks to the huge trigger it was comfortable. 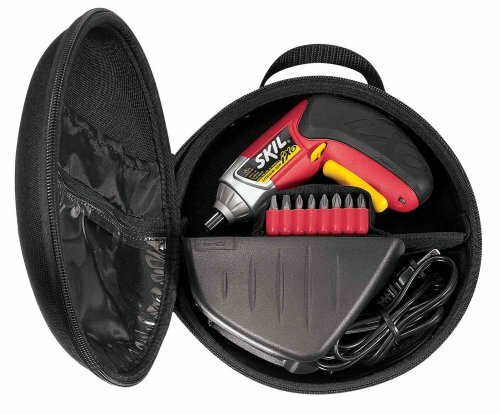 This screwdriver comes in a round black soft case that features the SKIL logo. Inside you have the charger, a little ziplock chock full of bits, and the screwdriver itself. Its so nice to have a small package like this case containing everything. The entire case will fit perfect into most people's repair kits. You get the benefit of a Lithium Ion Battery which essentially doesn't loose a charge, at least nowhere near like nicads do. I refuse to buy any nicad power tools anymore. Now for the not-great... This little baby does not carry a huge punch in a small package. It does not have the power of a drill, so don't think you can drill holes with it in anything more than super soft pine(or balsa wood). I bought this primarily for a project to hang a pot and pan rack, and to replace my old black and decker nicad model that died on me. I needed to drill six 2 1/2 inch drywall screws through 1" pine and into a stud(most likely spruce). I tried, just to test, drilling without a pilot hole through the pine board. It did it just fine. It would not, however, drill into the harder wood of the stud. I then pre-drilled a hole through the pine board and into the stud, leaving maybe a half inch at the end undrilled. The skil screwdriver put the screw in without issue until it hit that last 1/2 inch and couldn't do it. so I did a third test drilling a full 3 inches through, and then used the skil to finish. it did the job fine. To sum up my test...don't expect this screwdriver to be a miracle device. from my tests, it handled terrific for most household tasks. drilling into drywall to hang a picture, put up a fixture, etc... this screwdriver will handle fine. putting together anything will pre-drilled holes, it'll handle fine. If you loose touch and think this is a professional grade tool you'd use on a construction site, it will not do fine. I recommend this tool to ANY computer repair tech out there. If you need to open up computer cases and replace parts, or work on any consumer electronic devices, this tool is perfect. It's small enough to fit into a portable repair kit. For home, it also is good as a quick fix screwdriver that can be kept in a kitchen drawer. I'm going to keep mine for just those casual uses... however I ended up using my full sized drill outfitted with the extension and bits from the skil screwdriver to do my pots and pans project. I could drill in the drywall screws without needing to pilot them first. (I just rolled the screws in soap first to reduce the chance it would split the stud underneath. the soap trick also eliminates the squealing sound of dry drilling wood). this screwdriver easily deserves 4 stars for what it is...a casual screwdriver. 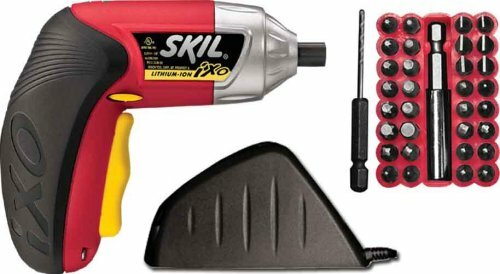 It's not a home project screwdriver by any means if you plan on building cabinets, etc... you're best off for a meatier cordless in the 10+ volt range that doubles as a drill. At only 20 to 50 bucks more than this, it may be a better alternative too. for what this screwdriver is meant to do, it does it. All I know is that Skil has a good reputation. This was purchased as a gift. Was on a Christmas list. Hope it works as well as we think it should! Purchased for use around the house and have been very pleased with performance and features. 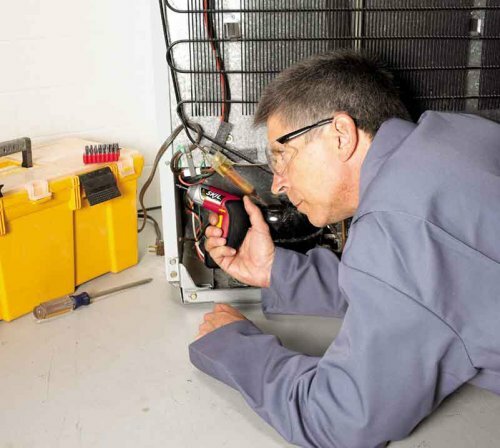 Perfect for home repairs and maintenance, plenty of power for general household use. Compact and convenient as well. Only flaw is directional slide switch is not firm enough and can be moved too easily. I have used for small pilot hole drilling as well with hex-shanked bits - works fine in soft woods and walls etc. I own one of these and have bought another one as a gift. I am pretty handy around the house and have a full set of tools. I have this guy sitting right outside my garage door and frequently grab it to loosen and tighten screws. It is surprising how freqently I do use it as well as how it works easier and faster than either hand screwdrivers or large power tools. I find this screwdriver as very useful for frequent basic household needs. It obviously doesn't serve well for construction or drilling, I use my large power tools for larger jobs. It holds it charge, it comes with a large number of bits and sits nicely in it's base to charge. I recommend this product strongly and am glad to own one myself.